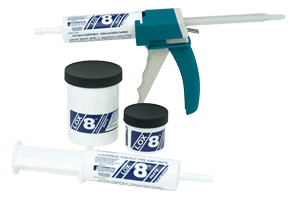 FORMULA-8 is specifically made for use as a thread sealant in non-aqueous conditions. (Use our LOX-8 Paste oxygen-compatible thread sealant for wet conditions.) Formula-8 is chemically compatible with diesel fuel, liquid propane gas, and oxygen. 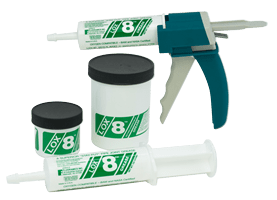 LOX-8 Paste is used in applications requiring an oxygen-safe, waterproof (or dry) thread sealant that can withstand both high extreme temperatures and high pressure. LOX-8 is a great lubricant for oxygen and chlorine systems, nitrous oxide systems, welding, and stainless steel anti-galling. LOX-8 Grease is used in applications requiring an oxygen-safe sealant and lubricant that can withstand both high extreme temperatures and high pressure. 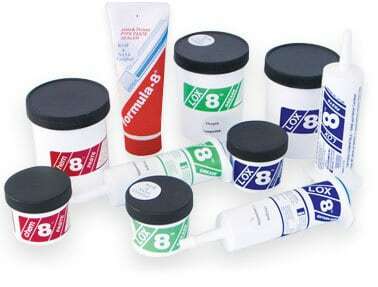 LOX-8 is a great lubricant for O-rings, pumps, regulators, and oxygen service bearings. CHEM-8 is a great lubricant where sophisticated chemicals are packaged, or where corrosion or rusting is a problem. It is especially suitable for mechanical instruments such as hinges, where repeated autoclaving is required. For straight water applications, Chem-8 is both an excellent thread sealant and stem lubricant. 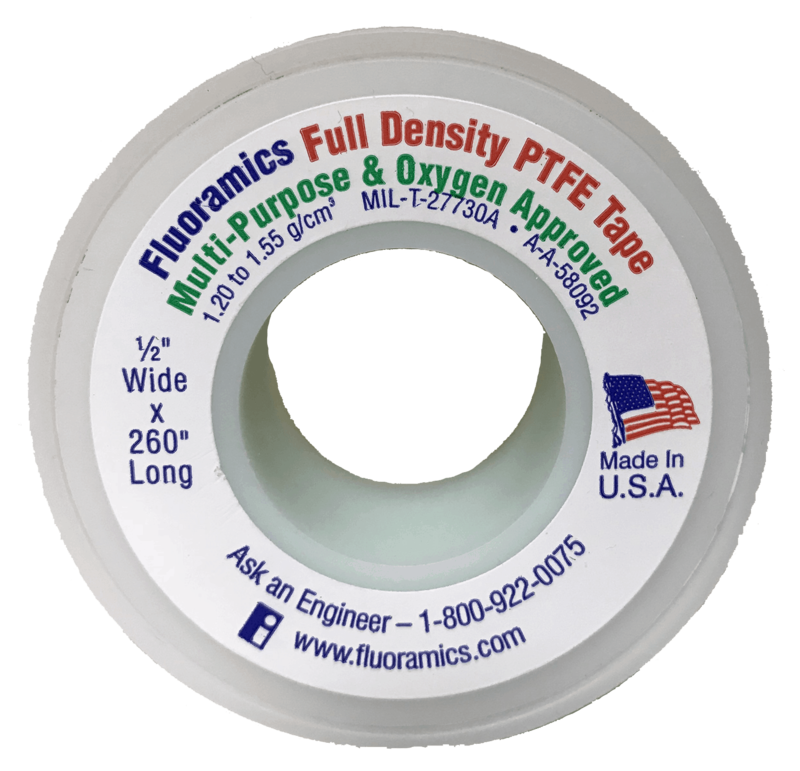 Full Density PTFE Tape is a multi-purpose and oxygen-approved PTFE tape suitable for use in all situations. May be used alone or with an approved pipe sealant. Approved for use with Fluoramics’ sealants. Fluoramics’ patented line of thread sealants are bio-compatible, chemically inert, and oxygen-safe products. LOX-8 Paste and Grease are recommended by members of The Chlorine Institute. Our odorless, noncorrosive, waterproof, non-migrating greases are ideal where repetitive assembly and disassembly are required. Our products are used extensively by some of the major gas manufacturers around the world.